Sweet Blessings relies on our friends to help us reach more children each year. Please consider a tax-deductible contribution! Sweet Blessings creates happy birthdays and unforgettable cakes for Bluegrass area children living in poverty, with a life-threatening illness, or with special needs. Sweet Blessings accepts referrals from schools, churches and service providers only. We believe the children should feel as special as their cake. 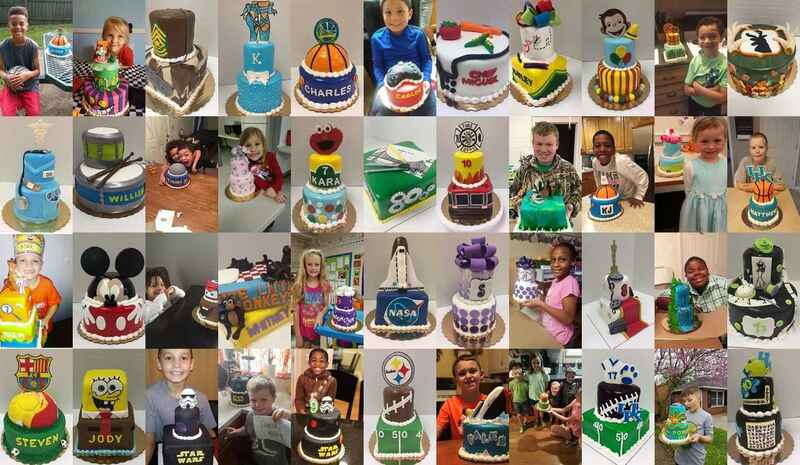 So, we want our cakes to remind children of the cakes they see on TV, not the ones they see in the grocery store. All our cakes are either made of multiple tiers or carved into special shapes. They are also covered in fondant to give them that extra special look. Each cake is made with a specific child in mind. The child's favorite colors, hobbies, future aspirations, etc. are all considered when personalizing a cake. The cake isn't for just anyone, it is for that very special child! Thank you, Sweet Blessings, for all you do for children!